Today's 11/11 again! That means Pepero Day! 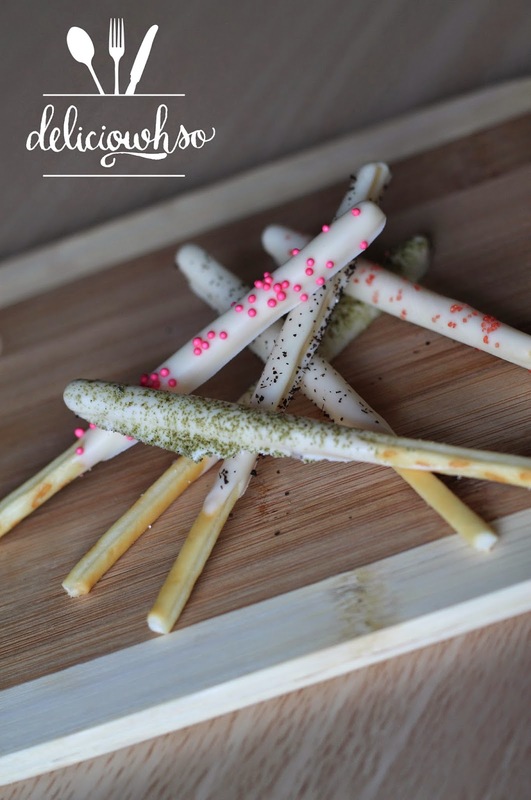 Pepero is a popular Korean cookie shaped like sticks. They resemble the number 1, so 11/11 was somehow deemed pepero day. It's a day when people share pepero with their friends and loved ones. I made pepero this year again! 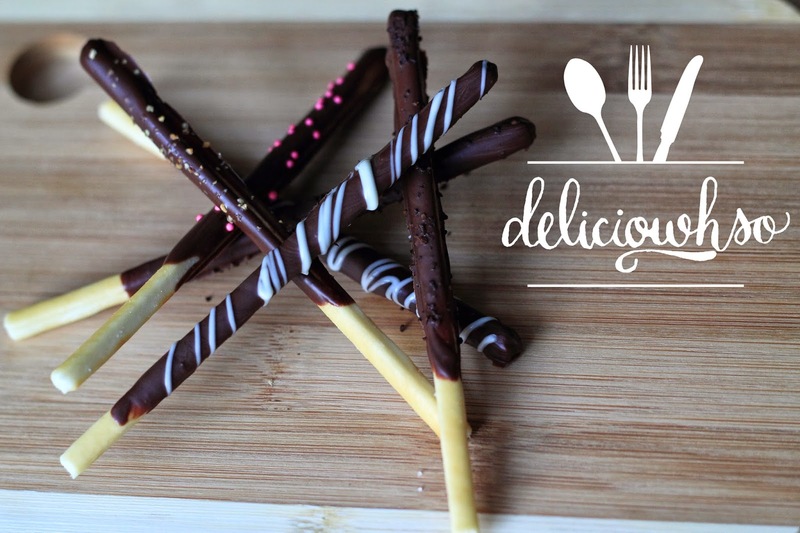 I dipped Pringles Sticks into melted chocolate and sprinkled them with an array of toppings! They're similar to last year, but I changed them up slightly this year! Flavors: Green Tea, Earl Grey, Sprinkles! Post pictures on the Facebook Page or in the comments section of the pepero you made! And check out the post from last year!